In the case of an unsuccessful closed reduction of a talus dislocation, open reduction is crucial in order to avoid further damage of the soft-tissue. Department of Orthopaedic Surgery, General Hospital of Katerini, Katerini, Greece. 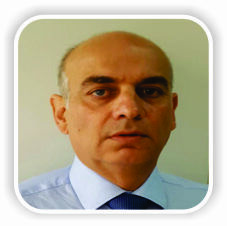 Department of Orthopaedic and Trauma Surgery, General Hospital of Katerini, Katerini, Greece. 45 K. Varnali Str, Thessaloniki, PC 54352, Greece. Case Report: We present a case of a closed anteromedial talus dislocation in a 25-year-old male motorcyclist due to a high-energy trauma, resulting from a fall following a road traffic accident. The talus could not be reduced by closed means making open reduction performed through a dorsal approach necessary. At 6-month follow-up, the patient has little pain and the range of ankle motion was satisfactory with some signs of bone contusion. 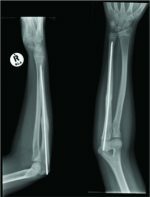 Conclusions: Talus dislocation is a rare injury that occurs after high-energy trauma. Open reduction can be beneficial, particularly if the initial attempt at closed reduction fails. Keywords: Talus, closed dislocation, fracture, operative treatment. Ligamentous injuries involving the ankle joint are relatively common, while closed total talus dislocation without fractures of the malleoli, navicular, calcaneus, or talus is an extremely rare injury due to the presence of strong ligaments connecting these bones [1, 2]. Closed talus dislocations are usually associated with high-energy mechanical trauma and usually occur in young patients [2, 3]. Avascular necrosis of the talus, infection, and post-traumatic arthritis of the ankle joint are the most commonly reported major complications, potentially affecting otherwise healthy subjects in the most active period of their lives . Treatment options remain controversial with the proposed treatment strategies varying from closed reduction versus open reduction and internal fixation [4, 5]. The purpose of this report is to describe a closed talus dislocation without any fracture of the malleoli, which was treated by open reduction. A comprehensive review of the relevant literature is provided, summarizing the present state of knowledge regarding this type of rare injury. A 25-year-old man was transferred to the emergency department by ambulance with an injury to the left ankle, after been involved in a road traffic accident (fall from own motorbike). He had sustained a minor injury to the head with an extensive blunt laceration of the soft tissues of the scalp (Glasgow Coma Scale, 15/15), a rib fracture accompanied by pneumothorax, as well as bruises and abrasions of the lower extremities. His primary complaint was severe pain and deformity of his left ankle. On physical examination, the ankle joint was noted to be deformed, swollen, and tender without lacerations. The skin temperature was normal, the sensory function could not be estimated because of pain, and there was motor loss. As the peripheral pulse was not palpable, the initial vascular status was assessed by applying the capillary nail refill test (observed). There is an obvious clinical deformity, and the ankle is revealed in a medial position with the talus head raised under the skin (Fig. 1). Radiographic evaluation of the ankle revealed an anteromedial dislocation of the talus, without any accompanying fracture (Fig. 2). Due to the absence of other fractures or neurovascular trauma, a closed reduction was attempted under general anesthesia with image intensifier fluoroscopy. Utilizing a technique previously described , the talus was not able to be reduced to its anatomical position, neither was any sign of a “click” perceptible. A second attempt was also unsuccessful, and thus, a decision was made to perform an open reduction. Probably, the anteromedial dislocation of the talus, without malleolus fracture, was responsible for the unsuccessful closed reduction. The joint was explored through a dorsomedial incision (Fig. 3). The anatomical elements were identified, and the deltoid ligament and the tibiotalar syndesmosis were found to be intact. The displaced talus was easily reduced into the joint using gentle traction of the foot. The ankle and subtalar joints were stable (passive ankle dorsiflexion and plantar flexion), so Kirschner (K) wires were not used to hold the reduction. The anatomical reduction was confirmed by C-arm fluoroscopy (Fig. 4). The posterior tibial artery and dorsalis pedis artery pulse were felt following talus reduction. A posterior below-knee splint was applied with the ankle joint in the neutral position (Fig. 5). The patient remained hospitalized 15 days for observation, adequate trauma healing, and to prevent compartment syndrome. General measures for control possible infection, pain, edema, and decrease any late complications of the open reduction included antibiotic therapy (in the form of second-generation cephalosporins and amikacin intravenously), analgesics, non-steroidal anti-inflammatory drugs, elevation of the extremity, ice therapy, and ensuring the non-weight bearing status of the left foot. After 15 days of hospitalization, the patient was discharged home with a little skin necrosis over the wound and with oral antibiotic therapy for an additional 7-day therapeutic course, together with anticoagulant therapy for the prevention of embolic events. The patient remained non-weight bearing for 8 weeks, and the reduction was maintained in a posterior splint for 2 weeks from the time of the injury and a full plaster of Paris cast for another 6 weeks thereafter. Postoperatively, skin necrosis disappeared with the passage of time. At 9 weeks’ post-operative, he was allowed to partial weight bear with the use of a pair of crutches. At 11 weeks’ post-operative, the patient started a progressive rehabilitation program to facilitate a faster and safer recovery with better potential outcomes. The course of the post-operative rehabilitation program is summarized in Table 1. At the 6-week follow-up, a computed tomography (CT) scan with 3D reconstructed images of the ankle joint revealed the absence of joint deformity or osteochondral fractures. Small bone fragments were found in the posterolateral aspect of the ankle joint without affecting the motion of the joint (Fig. 6). At 12-week follow-up, a magnetic resonance imaging (MRI) scan showed that the bone bruises in the tibia, fibula, talus, and calcaneus had been resolved without apparent sequelae. At 3-month follow-up, the American Orthopedic Foot and Ankle Society (AOFAS) score was 49/100. At 6-month follow-up, the patient was almost asymptomatic and had a good range of motion at the ankle and subtalar joint. He wore regular shoes and had resumed his regular daily activities. Radiographs showed no signs of avascular necrosis of the talus. At 6-month post-operative follow-up, a significant improvement of AOFAS score from 49 points to 88 was observed. After 6 months, the patient was lost from the follow-up and maybe he returned to his home place far away from our clinic when his general condition allowed it. As previously stated, talus dislocation is mainly occurred among young adults aged 20–45 years and associated with high-energy trauma [2, 3]. In the present report, we describe the case of a young adult sustaining a closed talar dislocation arising from a fall from his motorbike in a road traffic accident. In light of this report, we review the literature for the etiology, mechanism of injury, diagnosis, treatment, and follow-up outcomes of talus dislocation (Table 2). Talus dislocation without fracture of the malleoli or talus is a very rare injury [1, 2]. This injury results from high-energy trauma, and the most common etiologic factors of this type of injury are road traffic accidents [2, 3, 7, 8] and fall from a height (Table 2) [9, 10]. The usual mechanism of talus dislocation is a combination of plantar flexion while the foot comes to supination or pronation, and the dislocation can be either anterolateral (the most common) or posteromedial [2, 4]. The initial diagnosis of talus dislocation is often made using plain radiographs (anteroposterior and lateral views of the ankle joint) which can confirm clinical suspicions and reveal any fractures of the bones . Late complications commonly include avascular necrosis and post-traumatic arthritis. These complications may be related to the injury, the open reduction, or a combination of both. The most sensitive diagnostic tool for avascular necrosis is MRI, usually 10 weeks after the initial trauma diagnosis . The use of CT may delineate the extent of chondral damage or minor fractures which may lead to post-traumatic arthritis years after the initial injury . Talus dislocation without any accompanying fracture is such a rare injury that there are no clear treatment guidelines. Most authors underline the importance of an immediate closed reduction of the dislocated ankle . There are several different methods of closed reduction according to the orientation of the foot in relation to the talus . 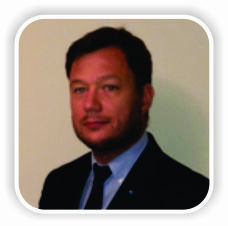 However, the goal of treatment remains a stable anatomic reduction of the talus in the ankle joint. 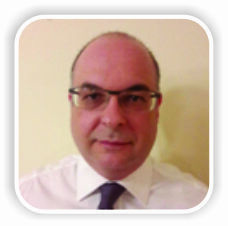 It is useful to mention that, after each closed reduction attempt, a repeat of the neurovascular examination is crucial to ensure that blood flow has been maintained and no new sensory or motor compromise has occurred. In the light of the literature for open injuries, most authors suggest that open reduction is the preferable treatment choice and that talectomy with tibial-calcaneal arthrodesis (or fusion) should be used to preserve joint stability and maintain good clinical and functional outcomes [7, 9]. Open reduction is also the preferred option after an unsuccessful attempt at closed reduction. For some authors, it is the first choice to avoid potential complications, with the most serious of these being osteonecrosis . Talus dislocation is an infrequent injury that occurs after high-energy trauma, such as road traffic accident, or falls from a height and most frequently involves active young men. A successful outcome for the patient is the primary goal, making early diagnosis and treatment of paramount importance. Open reduction can be beneficial, particularly if the initial attempt at closed reduction fails, and if complications such as osteonecrosis are to be avoided. Dislocation of the talus is an extremely rare and is usually associated with high-energy mechanical trauma in young adult males. An early closed reduction must be attempted to avoid further soft tissue and blood supply compromise. Multiple attempts of closed reduction are not advised as they can further damage the soft-tissue, and an open reduction is indicated. 1. Golanó P, Vega J, de Leeuw PA, Malagelada F, Manzanares MC, Götzens V, et al. Anatomy of the ankle ligaments: A pictorial essay. 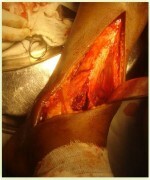 Knee Surg Sports Traumatol Arthrosc 2010;18:557-69. 2. Rhanim A, Zanati RE, Younes Ouchrif, Hassani ZA, Kharmaz M, Berrada MS, et al. Nonoperative treatment of closed total talus dislocation without fracture: A case report and literature review. J Clin Orthop Trauma 2014;5:172-5. 3. Karampinas PK, Stathopoulos IP, Vlamis J, Polyzois VD, Pneumatikos SG. 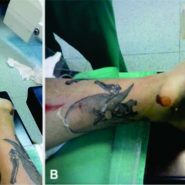 Conservative treatment of an anterior-lateral ankle dislocation without an associated fracture in a diabetic patient: A case report. Diabet Foot Ankle 2012;3: doi: 10.3402/dfa.v3i0.18411. 4. Xarchas KC, Psillakis IG, Kazakos KJ, Pelekas S, Ververidis AN, Verettas DA, et al. Total dislocation of the talus without a fracture. Open or closed treatment? Report of two cases and review of the literature. Open Orthop J 2009;3:52-5. 5. Kumar YC, Reddy S, Golla DK, Ganesh N. Closed talar dislocation without associated fracture a very rare injury, a case report. J Orthop Case Rep 2014;4:10-2. 6. Mitchell JI. 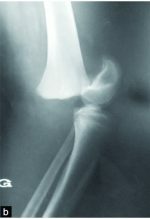 Total dislocation of the astragalus. J Bone Joint Surg Am 1936;13:212-4. 7. Sié EJ, Traoré A, Sy AK, Soumaro K, Lambin Y. Delayed debridement of an open total talar dislocation reimplanted in the emergency room. J Clin Orthop Trauma 2014;5:176-80. 8. Sharifi SR, Ebrahimzadeh MH, Ahmadzadeh-Chabok H, Khajeh-Mozaffari J. Closed total talus dislocation without fracture: A case report. Cases J 2009;2:9132. 9. 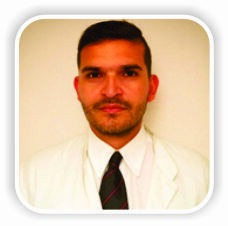 Lee J, Hamilton G. Complete talar extrusion: A case report. 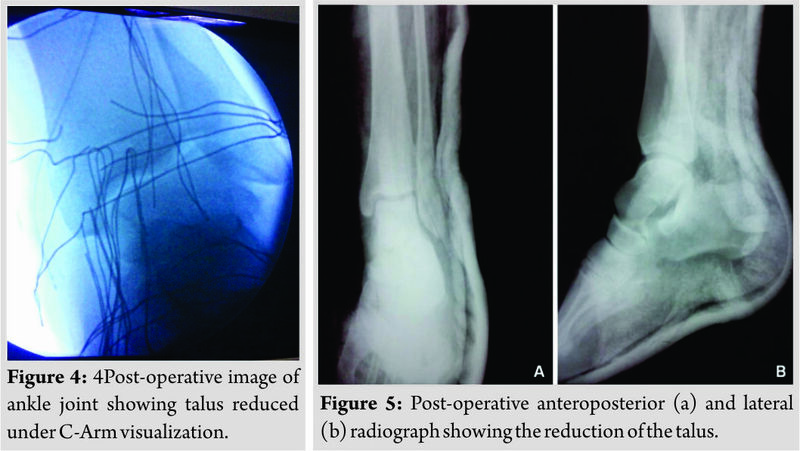 J Foot Ankle Surg 2009;48:372-5. 10. Taymaz A, Gunal I. Complete dislocation of the talus unaccompanied by fracture. J Foot Ankle Surg 2005;44:156-8. 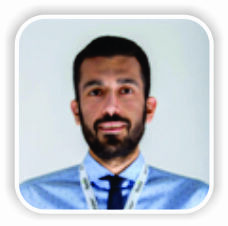 How to Cite This Article: Itsiopoulos I, Vasiliadis A V, Goulios V, Bangeas P, Sapalidis K. Open Treatment of Closed Talus Dislocation without Fracture: A Case Report and Literature Review. Journal of Orthopaedic Case Reports 2018 Nov-Dec; 8(6): 34-37.